Laser Bird Control device for outdoors deters and frightens away pest birds silently, effectively & humanely. It disorients their senses and forces them to find safer and calmer landing areas.The Laser Bird Control device uses the most advanced laser technique to blast green and red color laser pointer in combination at random intervals driving away birds away from areas where they are unwanted. 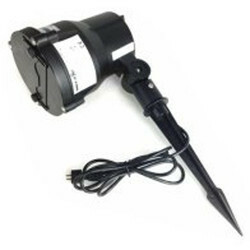 It is one of the most convenient and powerful laser bird repeller for outdoor applications. 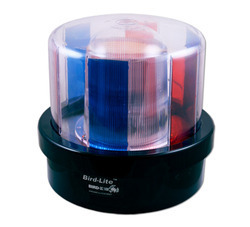 Specially designed mounting mounting base makes this laser bird control device extremely portable and potent along with the remote control for anywhere access. Bird Scarer is designed and conceptualized to scare away pest birds from many problem areas including golf courses, agricultural lands fields, airport runways, crops, hotels, swimming pools, industrial, residential commercial building rooftops, vineyards and any other large or small open space that requires protection from birds. 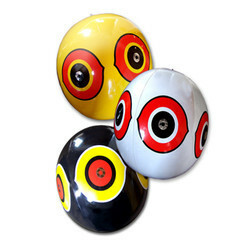 is a life size decoy that swoops, dives, moves randomly and intermittently even in the slightest breeze. The constant movement as it climbs dives, frightens and disorients pest birds making them run away from protected places. 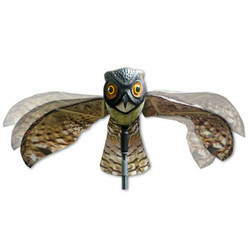 It is a highly detailed and realistic mimic kite that exploits pest bird’s instinctive fear. 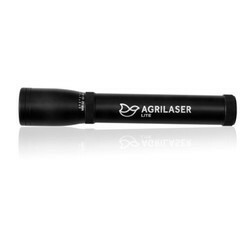 Agrilaser Handheld is a silent portable device for bird repellent. Owing to advanced patented optical technology a laser beam is emitted which is optimized for bird repellent over a long distance. In cooperation with scientists we developed the Agrilaser® Handheld to be the ultimate remedy against bird problems. Birds perceive the green laser beam as a physical danger which is coming towards them. The only alternative to avoid being hit is flying away. This is the same reflex when birds fly away when a car approaches. The Agrilaser® Handheld appeals to the survival instinct of the bird. Unlike conventional methods of deterrence birds will not get used to the laser beam of the Agrilaser® Handheld and will be always be repelled. After systematic use, the birds will consider the field on which the Agrilaser® Handheld is used as unsafe and will not return. Agrilaser Lite repels birds during lighting conditions of 10.000 Lux or less, which you can compare with cloudy weather. Birds perceive the laser beam as an approaching physical danger and fly away in search for safer grounds. Unlike conventional methods of bird deterrence, there will be no habituation effect After consistent use birds will perceive the area as unsafe and will not return is a silent, effective and easy to use control product patented optical technology is optimized for long distance repelling. 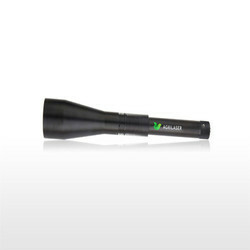 Laser Bird Scarer for indoor areas uses the most technologically advanced laser technology to frighten birds away safely and effectively in a discreet way. The laser bird scarer confuses pest birds by randomly changing laser dispersal pattern, forcing them to find safer spots for nesting and roosting activities in protected areas Scarer gives out intensive green and red laser flashes automatically to drive away unwanted birds from accessible areas. It is the most cost effective bird control solution for indoor applications. 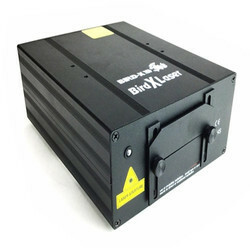 The laser device can be mounted using the mounting assembly making is portable and easy to use anywhere. 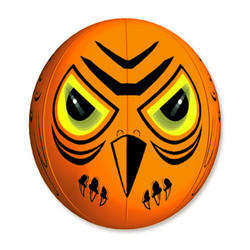 NEW and Improved Prowler Owl replica Scare birds with a dynamic, realistic, owl decoy; resembles the most-feared aerial predator, the Great Horned Owl, which catches and eats almost anything that moves. 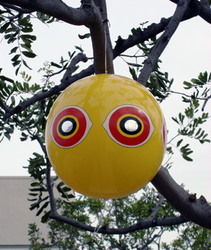 Don’t be fooled by imitations that are immobile – without movement, an owl scare is useless Install Prowler Owl decoy in any open outdoor area where pest birds or small critters are a problem. Offered in the market at the best rate possible, the Visual Bird Repellent made available by us has a high preference in the market. Manufactured in accordance with the set industry norms and guidelines, by skilled and reputed vendors, its quality is highly standardized. The modern technology applied in its making, gives the product a superior performance, commendable durability and an impeccable resistance to heat and water. Irri-Tape foil bird tape is designed to to utilize sight and sound to scare birds away from the area. 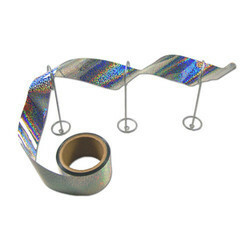 This visual scare product goes by many names including Irri-Tape, foil tape, bird scare flash tape, bird tape, repeller ribbon, mirror tape, reflective tape, mylar tape, holographic tape and more.